It’s more than 12 years that Netpeak has been providing internet marketing services. We helped to develop businesses of more than 2000 clients from 47 countries. Today, the representative offices of the International agency are located in seven cities, in 4 countries. When expanding our company, we resort to both traditional and quick methods. The first one includes the office rent, regional representatives, search for the local applicants. The second - amalgamation with local market players. Thus, in 2014, we entered the Bulgarian market, having bought 51% of Optimization.bg agency. We liked their approach — similar to [Present SEO], and they liked lean business processes and the organized nature of our company. Right now, we want to replicate the success, and you may be the one to help us. More about that a bit later on. Meanwhile, meet Gennadiy Vorobyov - an entrepreneur, founder and CEO of Netpeak Bulgaria (the former Optimization.bg). Amalgamation with Netpeak led to ten-fold income increase, five-fold staff increase and four-fold projects number increase. And it took 4 years to obtain such results. He was born in the cozy town of Izmail in the Odessa province and studied there until he was 17 years old. Then he moved to Bulgaria. Gennadiy enrolled at the mathematics and computer science school in Shumen. He was a lecturer of the mathematical analysis department, processed trip tickets booking at a travel agency and was interested in online projects. The work at an online booking company, projects promotion - both in the office and as a freelancer, led him to decide to start his own SEO agency. And he finally decided to found his own SEO agency. This is how Optimization.bg site and the legal body appeared on the market. 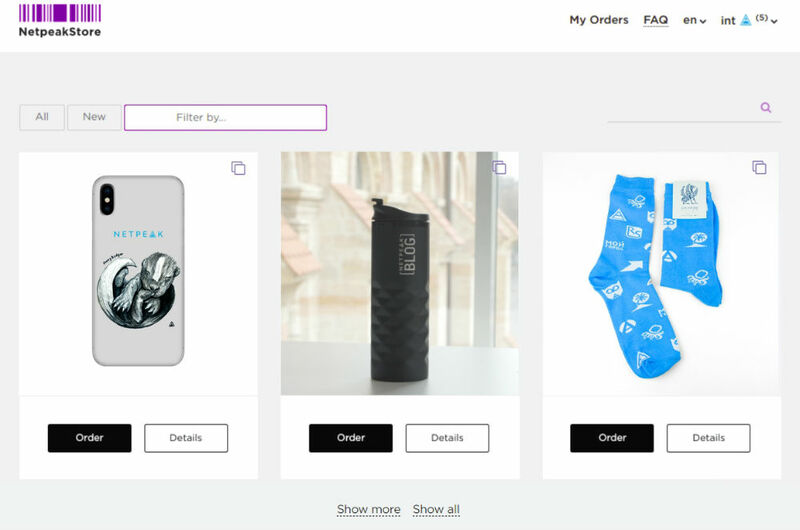 The company did well, so Gennadiy, together with Nikolay Galinov (link builder at that time and SEO Team Lead at Netpeak Bulgaria now) and other partners, launched a cell phones sales e-commerce project. Sales increased due to top positions in the organic search, specialists were optimizing the site. Everything was perfect until the project was filtered by Google Penguin. And after that, Gennadiy and his specialists joined white optimizers, almost stopped buying links and started to pay more attention to content. 2013 was a year when Optimization.bg got the first office on the 17th floor in the city of Sofia. There were 6 workers in the team. That was also a year when Gennadiy met white SEO apologists - Oleksandr Maksymeniuk (founder of Ringostat) and Oleg Salamaha (founder of Serpstat) — at the “8P: online business” conference. This led to Netpeak products getting clients in Bulgaria, and Optimization.bg getting access to new promotional tools. Some time later, Artyom Borodatyuk, founder of the Netpeak Group, invited Gennadiy to the Netpeak’s head office to take a look around. Walking along the terrace of the office building, Artyom reflected on getting through the “four-year crisis”, which is typical of all agency founders and CEO, on his own. That is the time when all enthusiasm resources are exhausted and you’re tired of the monotony; when you see only a vast array of work to do in order to survive instead of seeing the prospects. This refers to establishing business processes and standards ща performance, creating an incentive system for every role, recruiting and educating new people, changing work algorithms of the existing team, etc. This burden does not always show the meaningful return on investment, so there is a question whether it’s expedient to run a business at all. This is the reason why a lot of SEO and PPC specialists teams exist no more than 4 years. If they don’t want to earn too little, of course. Note for those out of the loop: no matter how large your clients are and what your agency turnover is, it’s quite difficult to pay off investments due to low margin and a complicated business model — when you, in fact, provide consulting services, not sell tangible goods or software solutions. This means you and your workers may get stable salaries, but to develop the team, you should either spend a lot of time (to develop slowly, gradually, step-by-step) or encourage investment (which is difficult due to a low margin). An agency, especially the small one, definitely falls into this trap, and the founder finds himself on the edge of a burnout. Becoming a big agency — like Netpeak did, skipping the “medium business” stage. But that means you have to restructure the company at a different level, rearrange business processes, etc. Becoming a company of premium segment still being a small agency. I.e, to set higher prices than the market average. But this means that business hinges on its founder and his reputation. Aside from that, Google representatives have provided quite grim statistics at some of the recent events: if an agency has three clients that bring them more than 60% of turnover — it should be ready to close anytime soon. Google specialists give an opinion, that one client should bring maximum 30% of the turnover. Artyom and Gennadiy discussed these ways and went home. Soon they came up with an idea to let Optimization.bg adopt Netpeak experience and join the big business. And Netpeak would hit the European market. Founders of the two agencies met again, performed Optimization.bg due diligence and agreed on cooperation terms. And so the process of companies amalgamation under the Netpeak brand name began. Team managers created “How to become Netpeak” educational project, and guys from Optimization.bg completed this training. At the same time, the agency implemented Netpeak team structure with its incentive systems and career ladders - from Junior to Team Lead. A number of Netpeak Bulgaria workers increased five-fold in four years. They formed the sales department in 2016 and a full team of PPC specialists in 2017. Gennadiy’s team got access to all software solutions, methods, program assets and structured experience of the agency. Let’s dive into details since this is the stuff (except money, of course) we offer to develop businesses of our prospective partners. 1.1. The agency’s own organizational structure: a career ladder and development map for every role. 1.2. KPI-based incentive systems for workers. 1.3. Additional control of employees’ time expenses by means of the Yaware tracking system. 1.4. Internal Wikipedia with a full set of manuals and guidelines for every process and position. 1.5. An opportunity to use Netpeak Group products (Serpstat, Netpeak Software, Academy Ocean) at a special rate. 1.6. Netpeak Scriptum programme to create unique commercial offers using the efficient templates. 1.7. A possibility to publish articles on one of the most significant internet marketing resources of RuNet — Netpeak blog (more than 250 000 views every month). 1.8. A possibility to visit our conferences: 8Р, ОА, SaaS Nation. 1.9. Lean business processes based on workers’ independence and initiative. For instance, if a worker wants to attend an educational seminar, he opens a ticket in the “Seminars” section of ERP system and has his conference passes ordered. 1.10. Netpeak site - vacancies and applicants section, which is, in fact, recruitment CRM system. 1.11. Internal forum to discuss innovations and to help solve difficult issues by means of collective intelligence. 1.12. Educational content and scheduled specialized and non-specialized educational events. 1.13. Corporate culture: mission, values, goals. 1.14. Corporate currency (netpeaks) and Netpeak Store to buy different products and services for this currency. 1.15. Education center section, which allows to organize training courses and grow talented workers. 1.16. Gamification system, which increases workers’ motivation: badges, ratings, thanks. 2. Project management panel — the agency’s own ERP system for data collection and analytics, work automation and digest compilation. 2.1. Netpeak ERP system automatically accrues vacation days, provides information on workers who are on vacation and sends a letter to colleagues that a worker is about to go on vacation. 2.2. Project management panel has an attendance record. 2.3. ERP system allows to keep projects financial records. 2.4. Project management panel helps to request a salary, creates debts and plus-percentage digests, writes out paid reminders. 2.5. This panel also tracks staff efficiency and mental determination: e.g. every worker specifies his productivity in percentage points (from 0 to 200) and adds a brief daily report at the end of the business day. We also have an automatic workers’ demotivation tracking system to prevent professional burnout issues. 2.6. Any worker may report a bug or suggest an idea like “something malfunctions” or “I want to change a logo color”. System has a function of transferring money between workers, requesting equipment and books, events, etc. 2.7. ERP system of the agency is integrated with “PlanFix” CRM system, where we work on tasks. 3. General improvements for our clients. 3.1. Quality standards of the services rendered. 3.2. A synergy of specialists — to achieve maximum results, we may engage additional specialists in the project's promotion. We also create individual departments for large projects, which include specialists with the diversified expertise. 3.3. A ROI-based approach which is fundamental to Netpeak brand. 3.4. 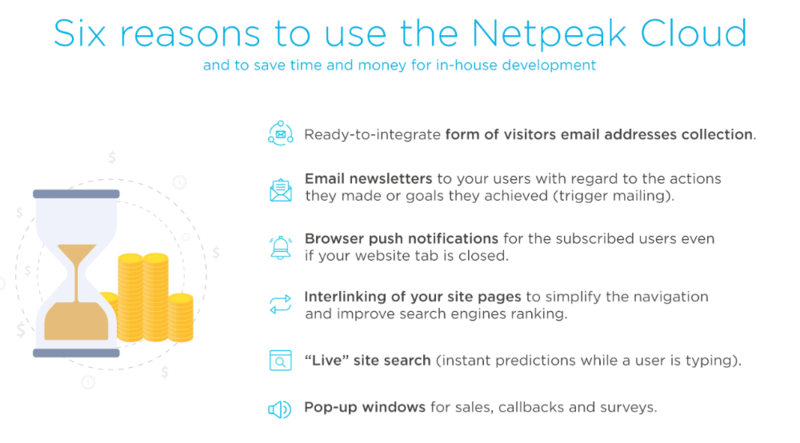 The agency’s own scripts and program assets to increase leads number on Netpeak Cloud platform. 3.5. Client Dashboard which accumulates information on project promotion, keeps specialists’ comments history and a host of other things. It’s like a remote control, which allows to monitor site working capacity, landing pages efficiency, quality of technical requirements implementation, KPI on all traffic sources, etc. And you can track all these things just in single click. 3.6. Scale effect — we have data on millions of domains in various segments, we see millions of search queries and tips, we analyze millions of ads. Guys from Sofia created Bulgarian version of Netpeak blog and successfully use it to educate the market, to share experience and to generate new leads, of course. 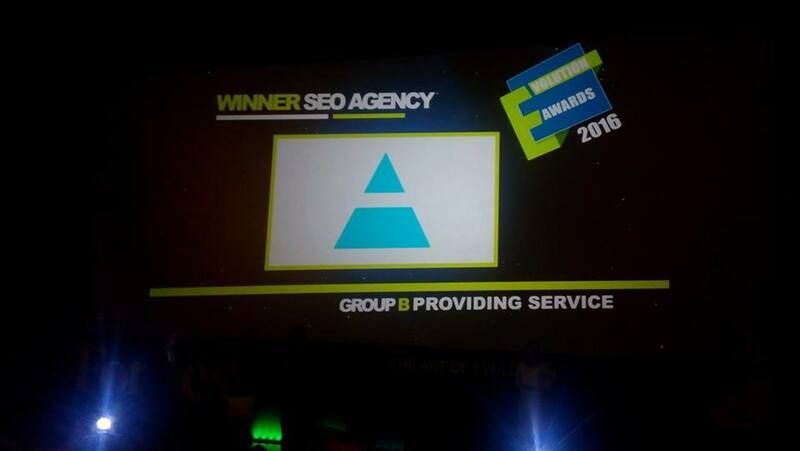 In April 2016, Netpeak Bulgaria became a winner of local Forbes — E-Volution Awards in the «SEO agency» category. Netpeak Bulgaria began to affect their country market development - guys were co-organizers of a large internet marketing conference. And now they strongly support various education projects. In 2016, Netpeak became an organizer of the largest forum on promotion and internet marketing in Bulgaria and held "Online Advertising" (ex «SEO Conference») conference for the first time. There was another forum a year later. And there are two more conferences in 2018. The first one, Online Advertising Live Edition (online conference), was held on March 27 and had more than 2000 participants. And the second traditional offline conference was held in October. 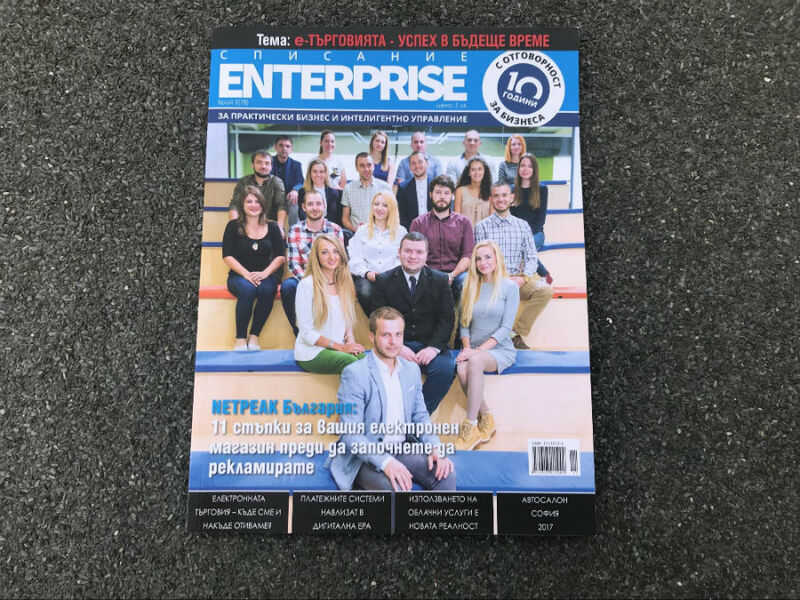 One more thing to know about Netpeak Bulgaria - since 2013, they are co-organizers of three-month internet marketing courses in Software University building. More than 2000 students graduated from this university. 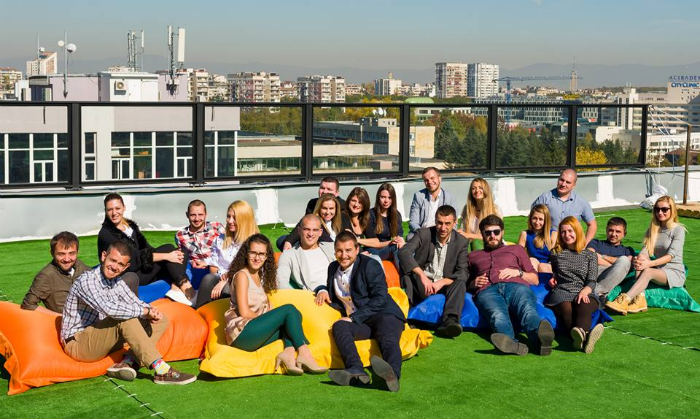 In 2016, teaching staff (including 6 Bulgarian team workers from PPC, SEO, and marketing departments) singled out into a separate structure — Softuni Digital — digital marketing school. More than 1000 students took 7-month courses on marketing fundamentals, content marketing, email marketing, Facebook ads, Google Ads, SEO and E-commerce in two years. Leading Bulgarian brands entrusted Netpeak Bulgaria specialists with their projects. They also manage international projects like IKEA and Peugeot. 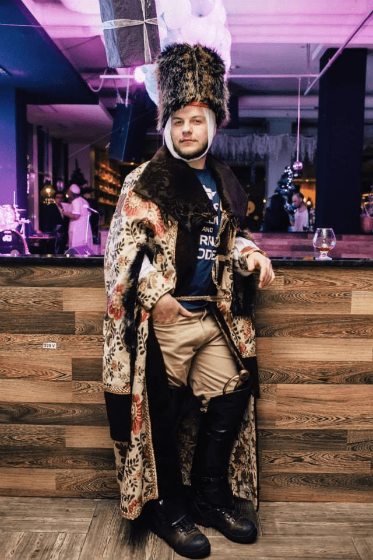 Gennadiy is often invited on national TV as a site promotion expert, and he has quite ambitious plans for 2018. We were waiting so long for the agency to assimilate to Netpeak completely. We managed to systemize and organize this complicated process. As a result, Bulgaria became the second highest Netpeak revenue market. We want to repeat this experience and buy a local team of SEO or PPC specialists (or maybe both SEO and PPC). Our offer is unordinary, as it has always been. That’s why you're reading this article. We want to find those who know us, who read us, who knows our approach. Yes, we know that the situation with Gennadiy was completely different and nobody had done it before. But the world has become different: million deals are made in comments under tweets, without offline communication. So why not? This offer is not for everybody, and we’re not ready to buy market majors. Who are we looking for? A team of specialists, up to 20 workers and with 3-4-year experience in online projects promotion. Specialization of our prospective partners is search promotion and contextual advertising. Common approach to the client business development and aspiration to grow and educate market players are also of great importance. We’re the most interested in the following countries: Austria, Germany, Greece, Georgia, Israel, Spain, Lithuania, Poland, Russia (we have a representative office there, but we want to scale it), Turkey, France, Czech Republic. Are you the one we’re looking for? Fill in the form. Otherwise, we will be grateful for a like, repost and a good piece of advice in comments. P.S. If you hear soon that we have already bought an agency, but you’ve just decided to discuss the amalgamation, still fill in the form. We’re going to grow constantly, so we always need reliable partners. Let’s develop the market together!